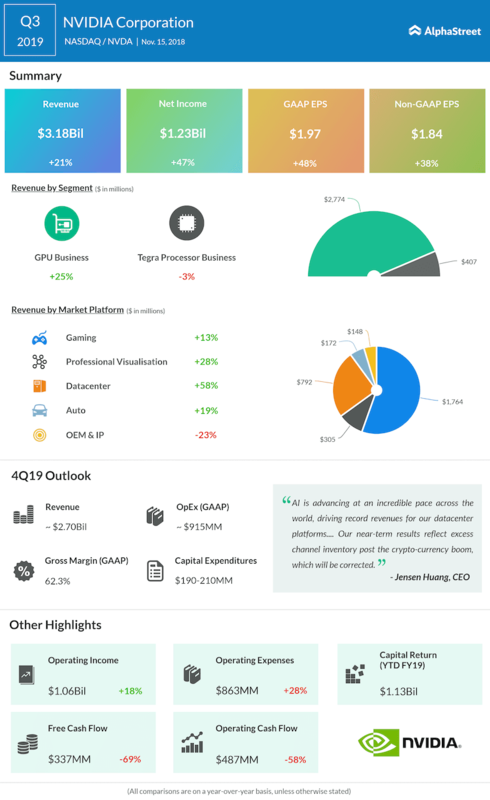 Nvidia Corporation (NVDA) is scheduled to announce its fourth-quarter fiscal 2019 results on Feb. 14. Despite falling short in the previously reported quarter, the chipset maker beat estimates in the three quarters preceding it. However, the reporting period also saw softness in gaming and data center spaces — both expected to affect Nvidia. 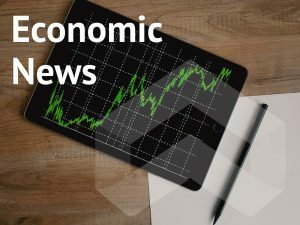 Along with these factors, the company also expected “deteriorating macroeconomic conditions, particularly in China” to have a negative effect on the results. Analysts estimate Nvidia to post revenue of $2.37 billion and generate 75 cents a share in earnings. But Nvidia itself only pegs revenue to hit $2.2 billion. This is quite a negative scenario, and even if the company crosses its own estimate for the quarter as it reports results this week, the market would expect it to near Street estimates. The suspension of mid-range Pascal GPU shipments after the crypto mining boom fizzled out also added to Nvidia’s woes. Declining Turing sales and a huge slump in China only made things worse. Even though RTX GPUs are rated top-of-the-line, the higher price tag also hit sales. With build cycles decreasing for consoles, Tegra chip sales are also expected to come down. In the first week of February, Nvidia stock gained 3.2% shortly after Japan’s SoftBank Group Corp. revealed that it has sold off its entire stake in the chipmaker. SoftBank’s Vision Fund held an approximate 5% stake in Nvidia, valued at about $3.6 billion, which it sold off in January. Nvidia’s stock lost a significant portion of its value over the past few months. The Japanese company, however, was able to offset most of the loss with the help of derivatives contracts. A report from Nikkei Asian Review stated that SoftBank might eventually sell its stake in ride-hailing company Uber as well. Uber is currently working on its plans to go public. Later this week, when Nvidia posts its earnings, we’ll see how the company has fared. But as of now, it looks like a tough fourth quarter for the chipset giant. Shortly after the announcement of the previously reported third-quarter results, Nvidia stock slipped about 15% as the semiconductor giant cut its revenue expectations for the to-be-reported period. The revenue for the third quarter then soared 21% while net income jumped about 48%. As the gaming sector gets hit more and more with the decline in hardware sales and a dip in the global economy, particularly China, Nvidia gaming GPU demand has plunged. Let’s see how Nvidia plans to tackle this situation as it posts results.